Konica Minolta offers quality you can count on. With the bizhub 363, you’ll enjoy high-volume productivity with B&W print/copy output up to 36 ppm and B&W scanning up to 70 opm. 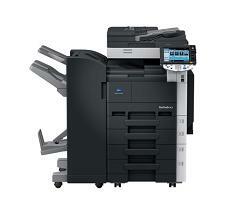 Plus, these black & white printers allow you to customize your solution to keep up with the goals of your business.